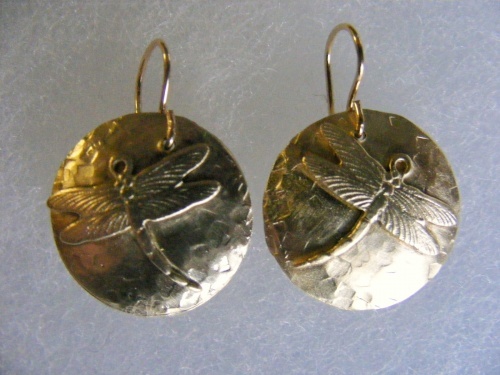 This pair of dragonfly earrings are made of bronze discs with brass dragonflies which, I soldered, hammered, and domed. Whimsical and fun! !